This statistic illustrates the spending distribution of Medicare and Medicaid in the United States in 2016. 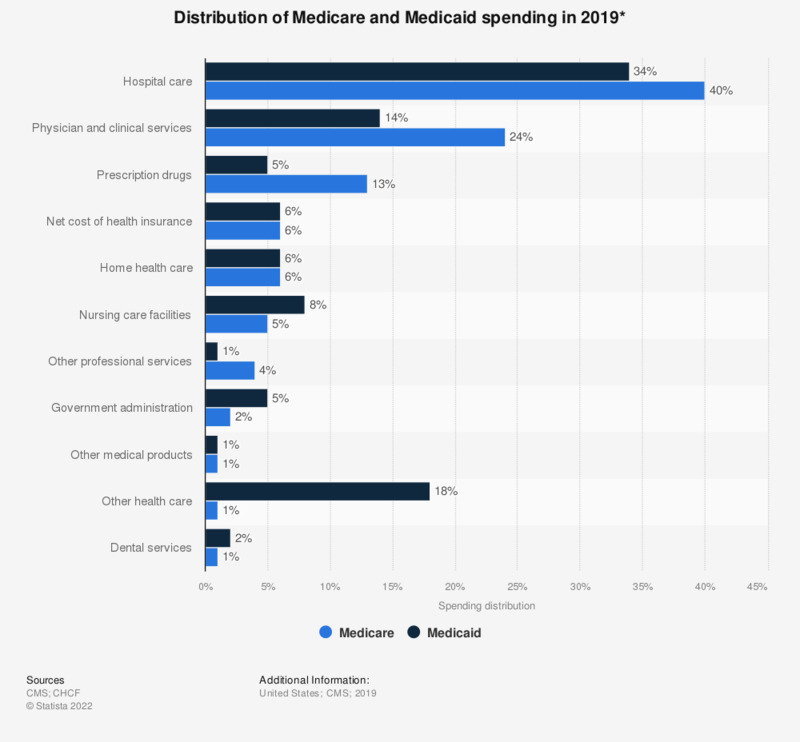 In that year, hospital care services made up 40 percent of Medicare's total spending and some 34 percent of Medicaid's total spending. Health spending refers to national health expenditures. Not shown: dental services (<1% of Medicare and 2% of Medicaid). Figures may not equal 100 percent due to rounding.